Straža is a smaller hill most suitable for a relaxing walk and summer or winter sport activities. 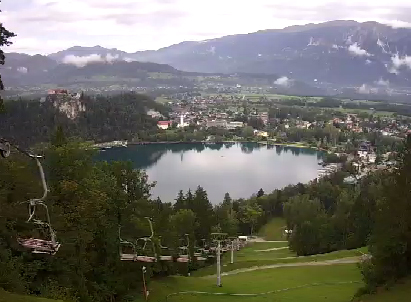 It is considered to be the most beautiful viewpoint in the area that offers incredible view of the city of Bled, lake Bled, castle and surrounding mountains. 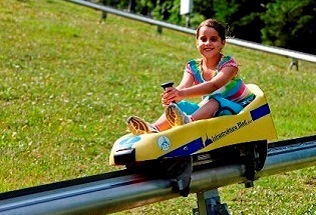 In summer you can enjoy in adrenaline-drenched sledding (summer tobogganing) or visit Adventure Park. You can take a relaxing walk through meadows and woods on the Rikli Fitness Trail. In winter you can ski on a small, but settled ski slope that is lit for night skiing and offers organized ski school, equipment rental and Sporty's Children Snow Park. 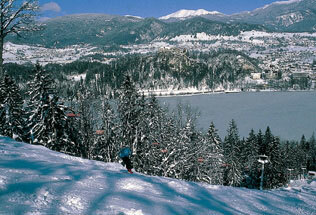 Straža ski slope is accessible by car or by foot as it is only a few minutes' walk from the center of Bled.